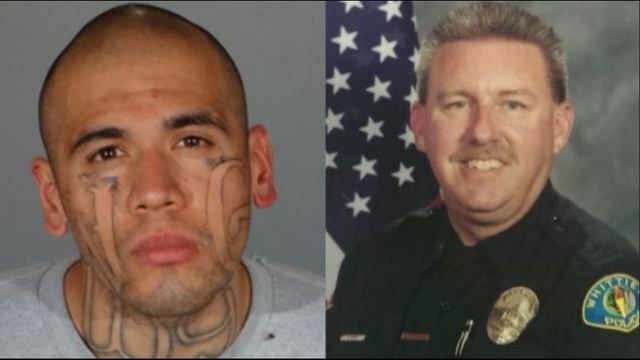 Officer Keith Boyer was a 25 year-veteran of the Whittier Police Department when he encountered 26 year-old Michael Christopher Mejia. Mejia was a recently freed felon who shot Boyer after he responded to a traffic accident. The car Mejia was driving and had crashed, had been stolen; when Boyer and another officer began trying to pat him down for weapons, he shot them both. And the Whittier police chief had some strong words about this tragedy. Mejia was released thanks to Assembly Bill 109, signed into law by Governor Jerry Brown. It required non-violent criminals to be moved from state or county jails, or removed from state parole and put under the supervision of county officials. The Supreme Court had ruled that the overcrowding in California prisons was so bad that it constituted cruel and unusual punishment, and this was the response from California’s liberal politicians. In 2016, Mejia was released after serving a sentenced for grand theft auto and was meant to be under the supervision of Los Angeles County officials. After being released, he was arrested five times in seven months, yet county officials never sent him back to prison. And Whittier Police Chief Jeff Piper has had enough. Piper was referring to not only Assembly Bill 109, but also to Propositions 47 and 57, which would, respectively, keep non-violent criminals out of state prisons and speed up the release of violent criminals. These actions have come under increasing scrutiny, however, thanks to the shooting death of several police officers, including Boyer.